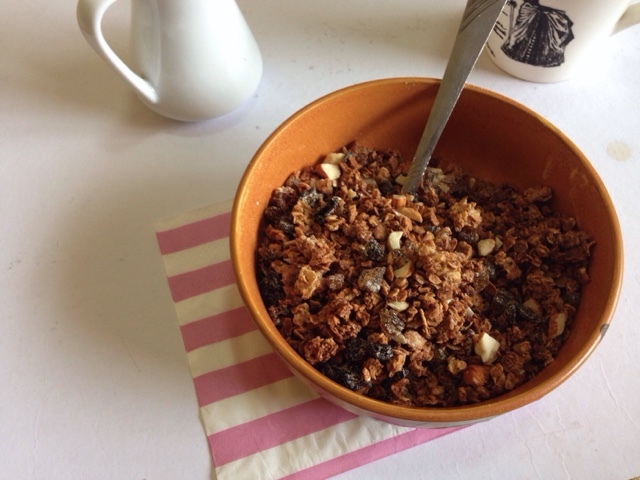 Granola is a cereal that I could have for every meal of the day and not feel sorry for it. It’s wholesome, nutty, satisfying, and it smells deliciously wonderful! 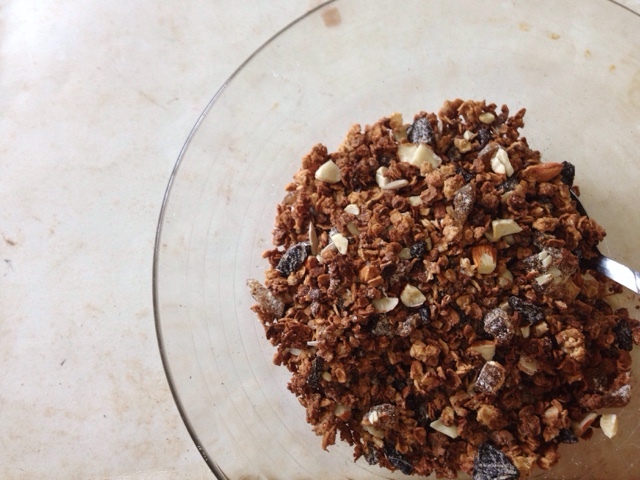 A reason why I make my granola at home is because most store-bought ones are full of unnecessary sugars and other nasty preservatives (I just don’t get why they do that!) Most importantly, it’s easy to make and it saves me a ton of money! Some of my friends have been asking me to teach them how I make it, so I thought to make a post on it in case you’re wondering, too. Here’s my recipe. In a large bowl, combine oats, coconut, cinnamon and sugar. Set aside. In a smaller bowl, mix together maple syrup, vanilla and oil and then pour over the oat mixture. Stir until oats are fully coated. Add more syrup if you want your granola to be "clumpier". 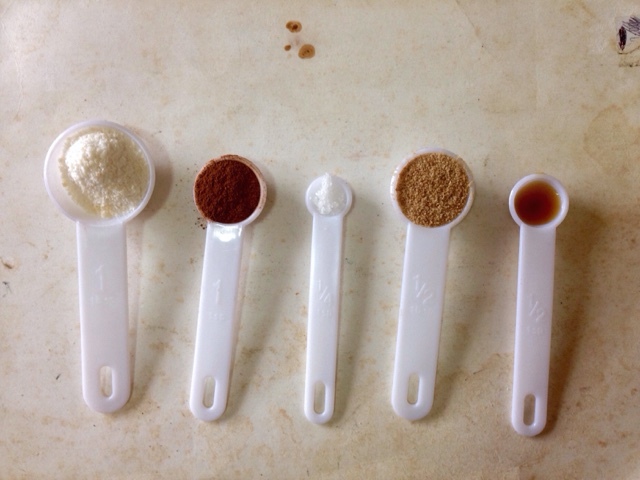 Spread the mixture thinly onto a rimmed baking sheet. Bake for 40 minutes or until the mixture turns golden brown, taking out of the oven every 10 minutes or so to stir. Remove the granola from the oven. Let it cool to room temperature, still stirring occasionally as it does. 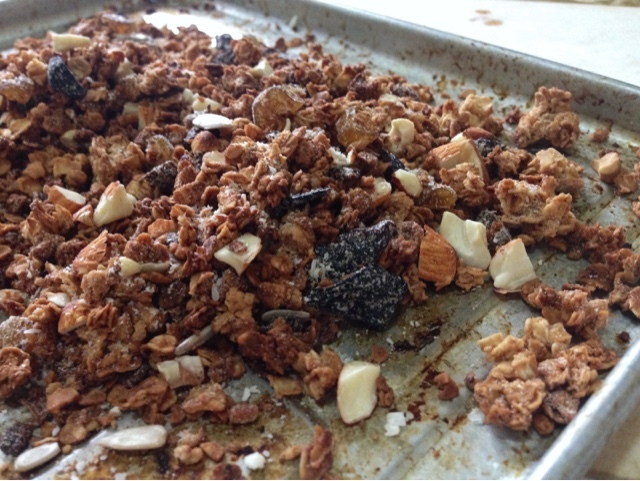 Once completely cooled, toss in the nuts, seeds, dried fruits and remaining coconut.